Native America Natural Foods is a community-based B-corp based in Kyle, South Dakota, on the Pine Ridge Reservation. The company is the owner and creator of the Tanka brand of healthy buffalo snacks, best known for the award-winning Tanka Bar. Based on a traditional Lakota recipe for preserving buffalo meat with fruit (called Wasna), Tanka products are the first nationally distributed food products from an Indian reservation. Native America Natural Foods launched the Tanka brand in 2007 with a goal of driving the impact of this brand back onto the reservation to break its economic isolation and help grow Native buffalo herds. The company’s goal was to source 100% of its buffalo meat from Native ranchers. They couldn’t reach this goal because there wasn’t enough Native buffalo. The company started looking at the challenges Native ranchers faced, and identified three big obstacles: capital, land, and training. It found that most Native buffalo ranchers operate in significant debt and need patient capital, which is absent on the large land-based reservations. In addition, it’s common for reservation land to be leased or owned by non-Indian ranchers who send their cows to concentrated animal feeding operations (CAFOs). The revenue from these operations leaves the reservation along with the animals. Last, even though buffalo add value to the land and grass, there wasn’t good education, training, or sustainability protocols in place to capture this value or provide any type of certification, such as humane handling, organic, GMO-free, or grass-fed for Native buffalo. It wanted to address these three interrelated challenges by creating a fund for Native buffalo projects so ranchers could move from a cycle of debt into a place of financial and ecological sustainability. The company decided to set up a charity to help educate a broader population about the benefits of buffalo and start building a base of individual donors to contribute to its efforts. The result was Tanka Fund, which was established in 2014 with the mission of returning buffalo to the lives, lands, and economies of Native communities. Faye Brown came onboard as a consultant to help in this initiative, and the organization is close to hiring its first executive director. In its startup phase, the Tanka Fund board reached out to Propel Nonprofits to serve as its fiscal sponsor while it built its infrastructure, network, and internal capacity. “Propel was a perfect match for us in that it could provide back-end financial support and assistance with legal and IRS tax compliance, and it also helped us incubate and grow to the point where we are able to apply for our own 501(c)(3),” said Faye. Faye notes that in Tanka Fund’s original feasibility analysis, the vast majority of people surveyed had a deep and visceral connection to buffalo and an immediate positive response to helping support the buffalo’s return to Native communities. “When talking about restoring buffalo to Native lands, it brings up a sense in most non-Native Americans that the eradication of buffalo was a grave injustice done, not just to buffalo, but to Native peoples,” says Faye. To provide people ways to act to repair this historic injustice and support the buffalo’s return, Tanka Fund launched the Tanka Returns campaign as a national education and fundraising campaign to engage the broader public. One aspect of this campaign has centered on offering donors meaningful products that symbolize how significant their support is to creating a new chapter in history and a just and sustainable future. 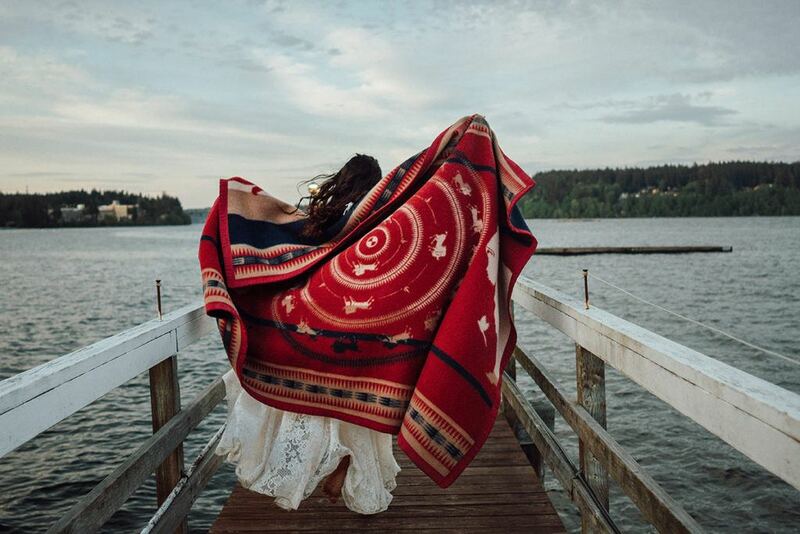 For example, people who donate $200 or more receive a wool blanket designed by Sonja Holy Eagle through a partnership with Eighth Generation, the first Native company producing wool blankets designed by Native artists. “The Return” blanket portrays the dream of the buffalo returning to Native homelands, a dream held across generations of indigenous people. 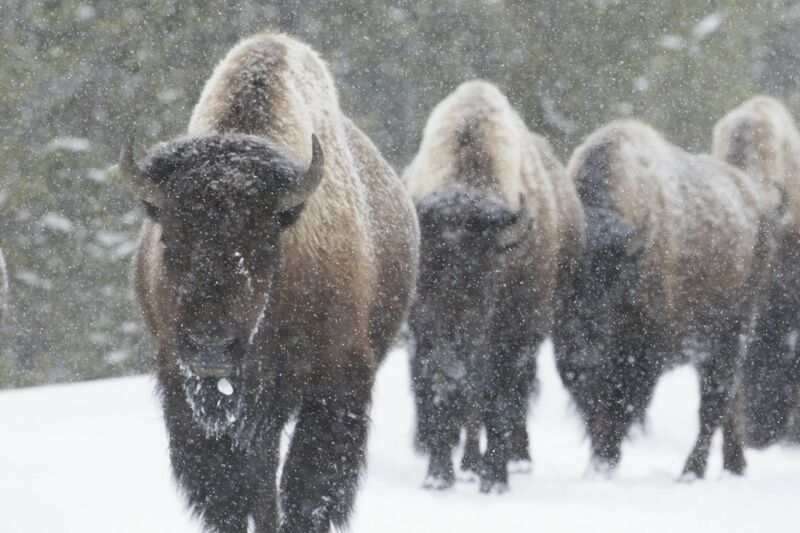 While difficult to know an exact number, some estimates say there used to be 50-60 million buffalo in the U.S., which helped to create the largest biome in North America – the prairie. “The land was not the homogenous sea of grass people imagine,” says Faye. The prairie was home to 10,000 species of plants, including 250 species of grasses, and 20,000 species of animals. The buffalo shaped that ecosystem, and vice versa, by carrying pollinators and seeds in their fur, cultivating the land with their unique hooves, and through their practice of wallowing, which shaped the landscape and created ecological diversity. “Buffalo are a keystone species that can greatly help rebuild our ecosystem and foster greater climate resiliency,” says Faye. 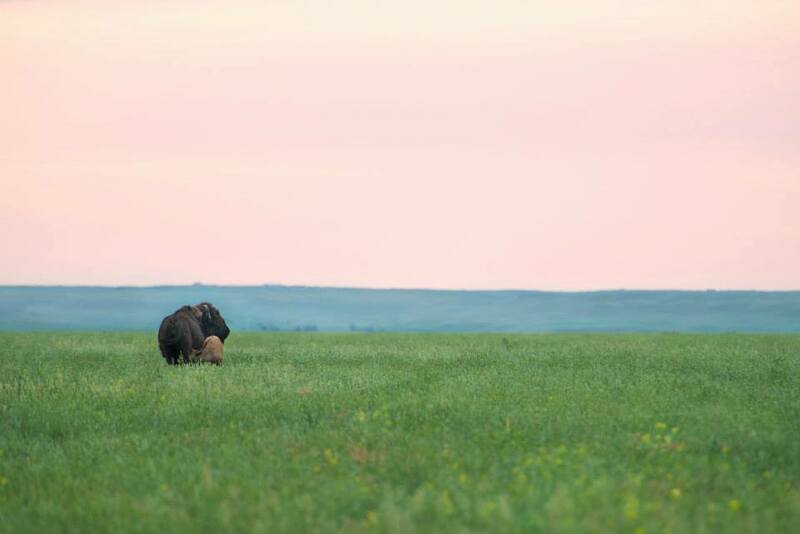 In addition to offering grants to Native ranchers to help cover the high costs of infrastructure, such as fencing and wells, animals and land leases, Tanka Fund created a social enterprise, a South Dakota Multi-state Buffalo Caretaker Cooperative called Tanka Resilient Agriculture to offer members training and other resources to move people into certification for organic, grass-fed, native buffalo. “Most Native ranchers are already doing regenerative agriculture on unsprayed pasture, but they don’t have the resources to do all the scientific documentation that goes along with certification,” says Faye. “The demand for buffalo has been growing exponentially for years. Ironically, Native people are excluded from participating or benefiting from that growth. 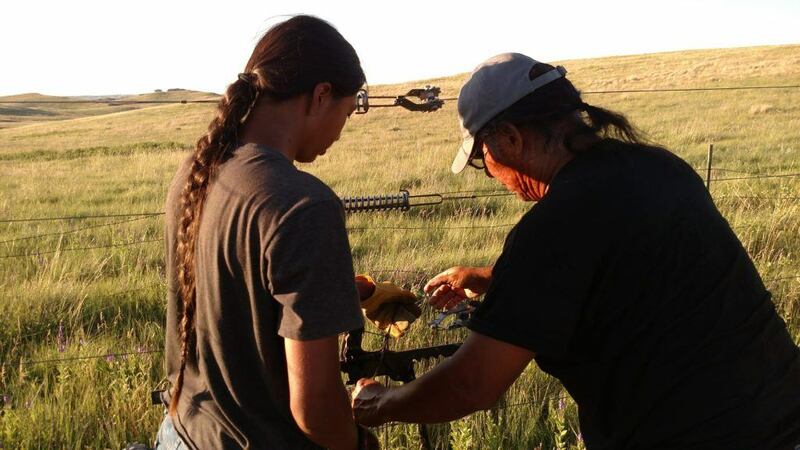 To solve these problems of capital, land, and training in a capital vacuum, it’s going to take a critical mass of individuals.” Thus far, Tanka Fund has granted $85,000 to three Native buffalo projects in South Dakota. To learn more about Tanka Fund and be part of the critical mass to do this work, visit its website: www.tankafund.org.